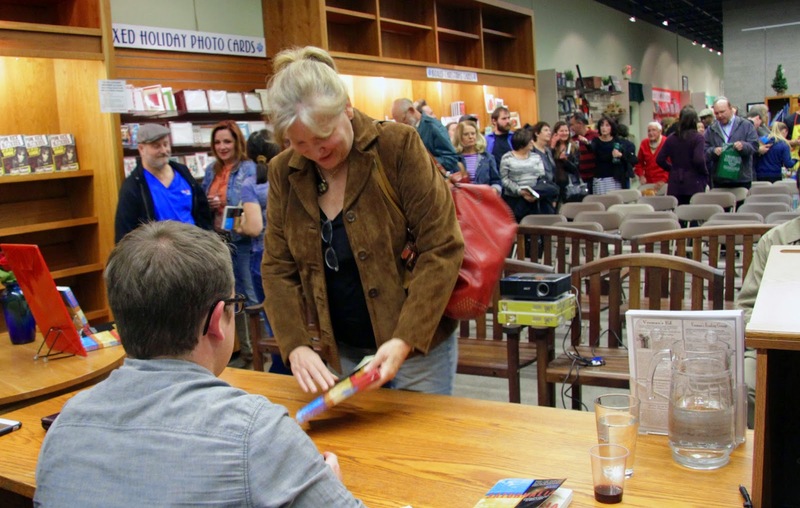 There was standing room only at the launch event at Vroman's Bookstore on January 13. Special thanks to everyone who came out to support this book. 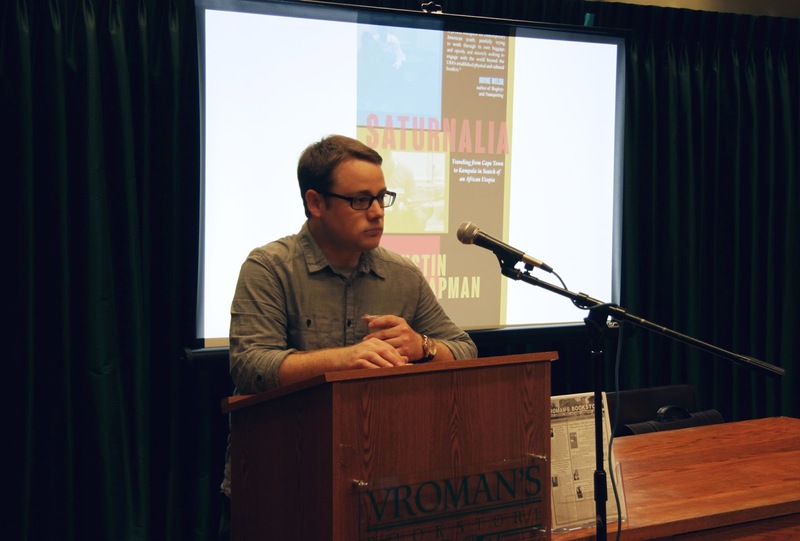 Vroman's staff had to ask the publisher to go out to his car and get more books, because the 40 they ordered weren't enough! Vroman's also said it was the largest turnout they've had in quite awhile, and told Justin he could come back any time. Art Aids Art had a table at the event selling art from the township of Khayelitsha in Cape Town, South Africa. Tom Harding spoke about that organization and how Justin came to visit them in Cape Town. Then Pasadena Weekly deputy editor Andre Coleman introduced Justin, who showed photos and told stories about his three-month trip through Africa, read a chapter from Saturnalia, and signed copies for those standing in a line that wrapped around the room.